From petting zoos to ethereal installations, here are 5 exhibitions that caught our eye at Milan Design Week 2016. 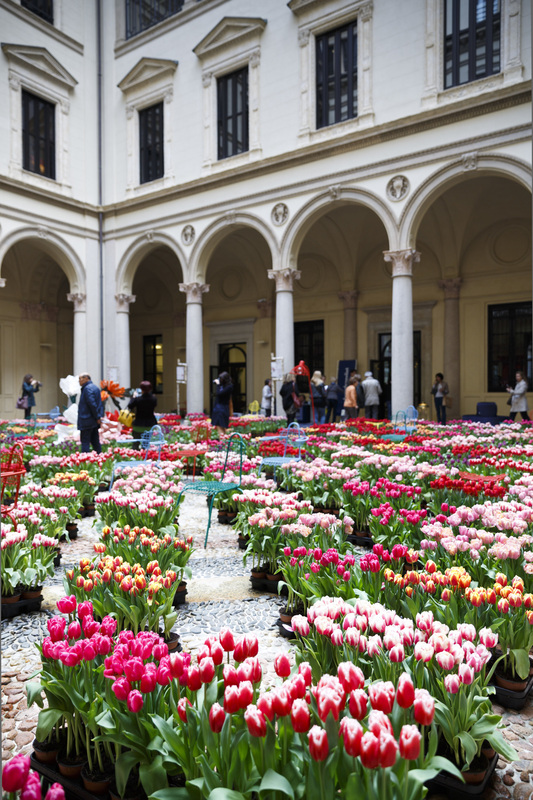 Dutch designers, artisan producers and design agencies took over the neo-renaissance palace in the centre of Brera - Palazzo Francesco Turati. 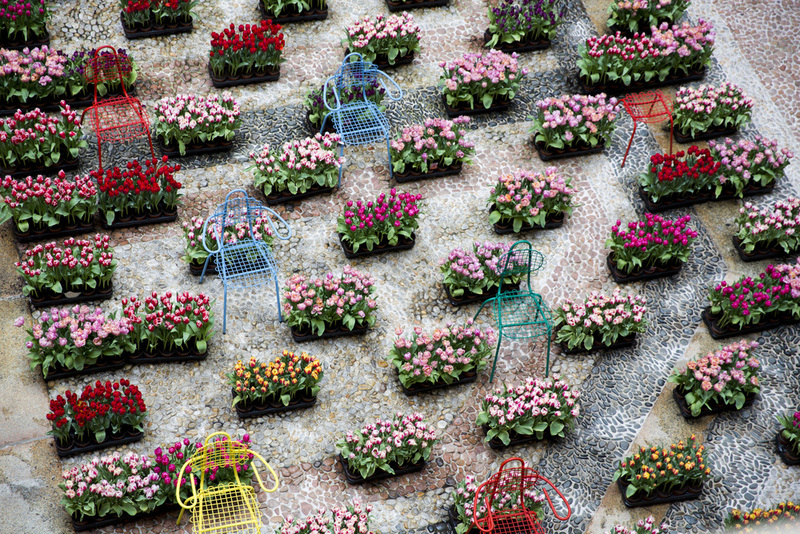 A striking mosaic of 15,000 Dutch tulips paved the courtyard. 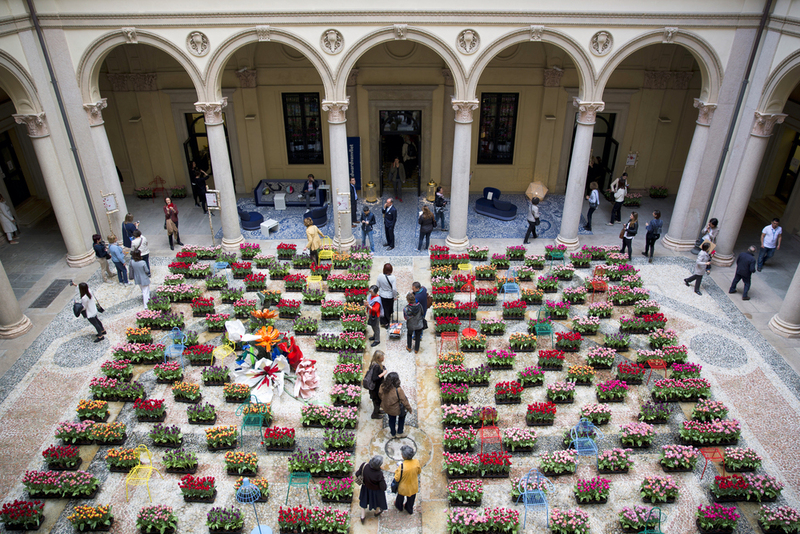 On the last day of the Salone del Mobile the best blooms were handed out to the people of Milan. To celebrate 50 years, B&B Italia engaged Migliore+Servetto Architects to design an exhibition in the Impluvium of La Triennale di Milano. This wasn't your standard furniture exhibit. The immersive and cinematic installation interpreted ‘density’ in a very broad sense using eight centralised cages with different narratives. 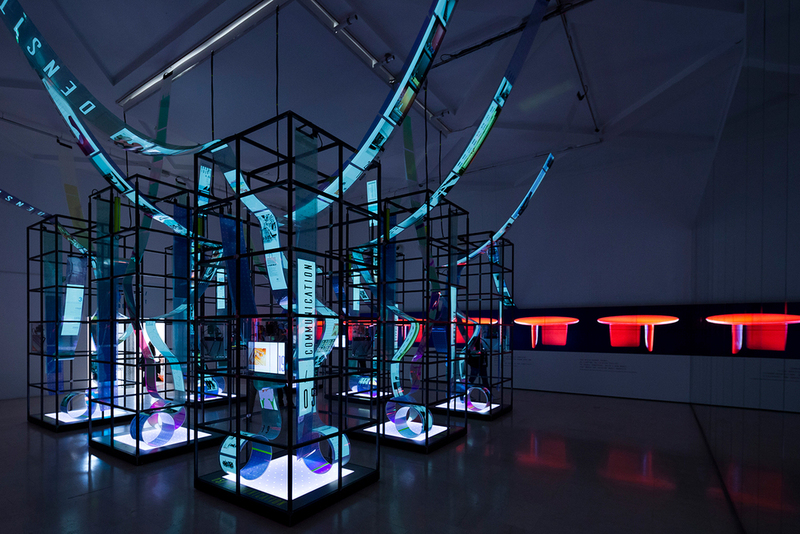 Within the cages, digital screens, ribbons of images and beams of light, visitors caught fleeting and intersecting glimpses of the brand's designers, products and concepts. 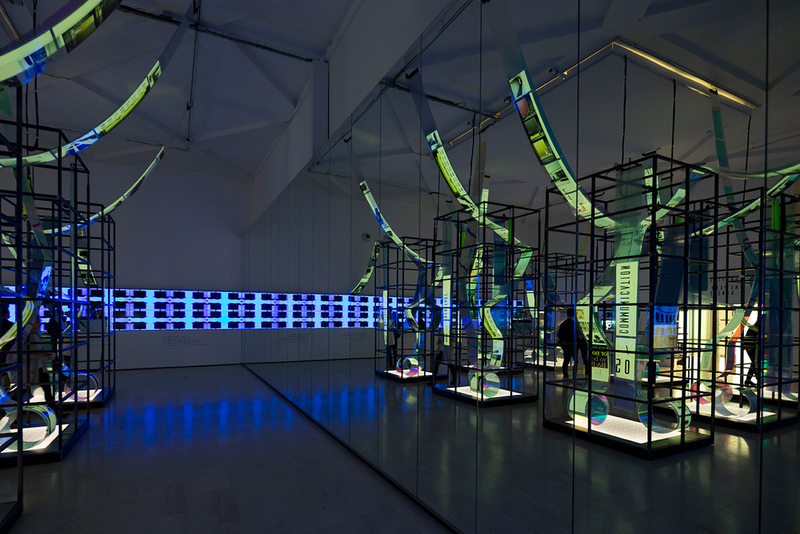 Citizen watches teamed up with Paris-based architect Tsuyoshi Tane from DGT Architects to realise an immersive installation that explores the idea of time. The installation used approximately 120,000 watch plates hanging in shimmering garlands. A petting zoo was a notable feature of Touch Base, the Design Academy Eindhoven exhibition curated by Ilse Crawford and the academy’s creative director Thomas Widdershoven. 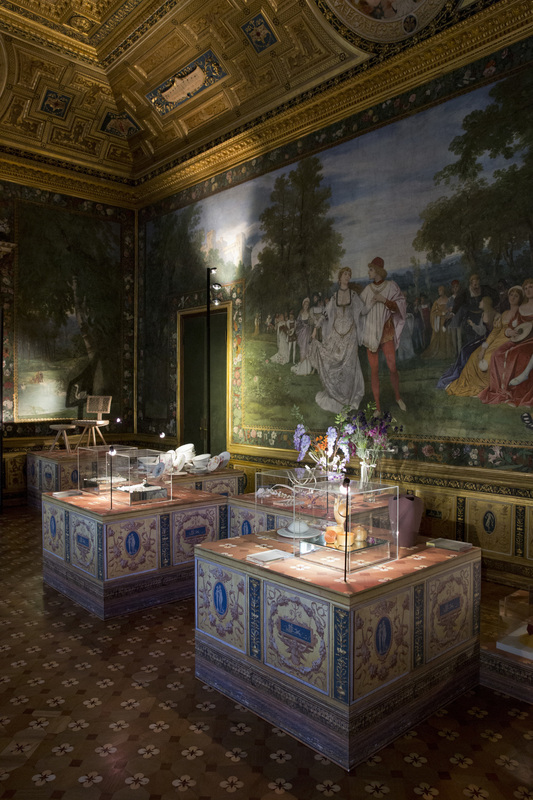 The exhibition explored the importance of touch and tactility to people's well-being. Failures looked at the story behind design - the research and processes that can see a piece make it into production or end up languishing in the archive. 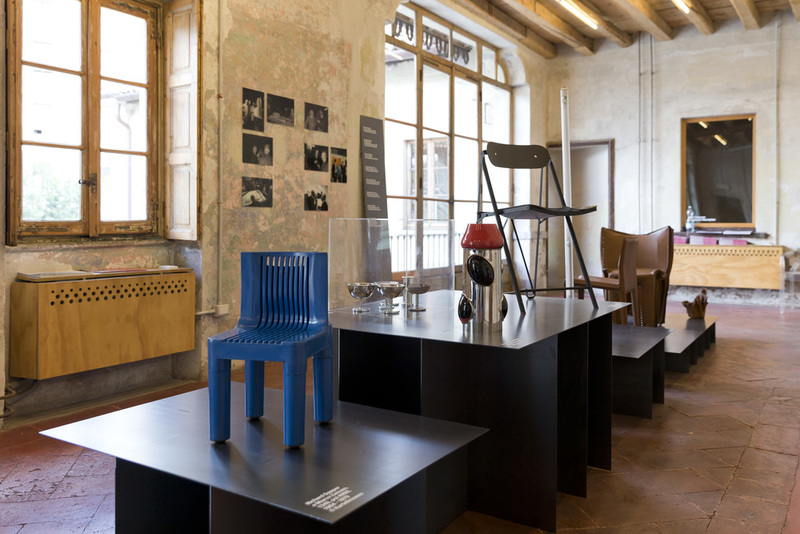 The core of the exhibition displayed unique pieces that never made it out of the factory, prototypes by eminent designers, such as Aldo Rossi, Alessandro Mendini, Marco Zanuso, Richard Sapper together with research products from Riccardo Blumer and Francesco Faccin. 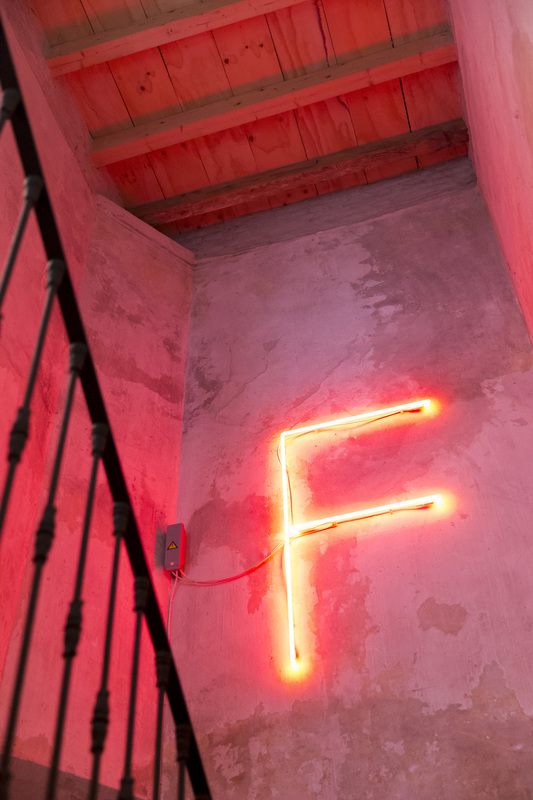 The exhibition was held in Cascina Cuccagna, a beautiful old restored barn in the centre of Milan.